These ‘Weekend Warriors’ Are… Adult Male Competitive Figure Skaters? It’s 5:30 a.m. on a Monday morning at the Pickwick Ice Center — mere blocks away from Walt Disney Studios in Burbank, California — where I’m seemingly the oldest, tallest and least-awake person in the building. The frigid, mid-century arena is eerily quiet but for the mechanized drone of a lumbering zamboni and the twack twack twack of a 10-year-old girl metronomically jumping rope in the corner. Conte — along with fellow top adult competitive skaters Michael Rubke (a thirty-something CFO and 6-time national champion) and Eric Bilardi (a fifty-something hairstylist) — trains with Pickwick’s Los Angeles Figure Skating Club (LAFSC), whose alumni include Olympians Michelle Kwan and Todd Eldredge, as well as world-champion pairs team Tai Babilonia and Randy Gardner. The adult U.S. 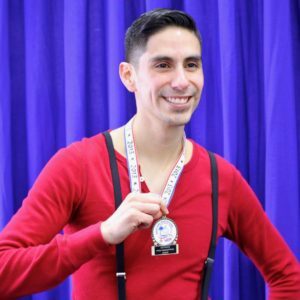 Figure Skating program is designed for both people who have skated as kids and are returning to the ice as adults and for adults who are new to the sport; these skaters can progress through and compete at five levels: bronze, silver, gold, intermediate novice and junior-senior. (Elite, Olympic skaters are all “senior.”) Each level has corresponding “moves in the field test” and a “freeskate” where judges determine if the skater has mastered the requisite elements of each category. As Monday morning progresses at the Pickwick Ice Center, I finish my fourth cup of snack bar coffee to stay warm and notice the demographics on the ice have changed dramatically. The preteens have all dispersed — off to middle school, presumably — replaced by a dozen or so middle-aged soccer moms and retired men, the members of LAFSC’s Adult Coffee Club, which meets from noon to 1 p.m. three days a week. There, I cross paths with 60-year-old Randy Gardner, one-half of the aforementioned world champion pairs team that now runs the Randy Gardner School of Skating at Ice at Santa Monica and here at Pickwick a couple of days a week. 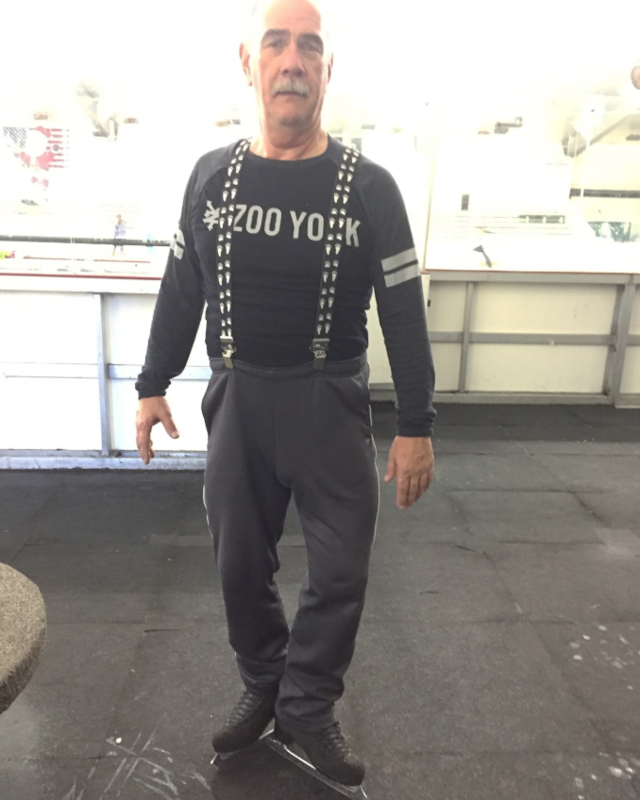 He says he’s seen more and more adult men coming to the rink to get their exercise, many of whom attend the Adult Coffee Club on their lunch break. To that end, by far the least likely skater I’ve run across in my 48 hours at Pickwick is 63-year-old Gary Correa, who looks more like a fireman than a figure skater. He’s practicing Salchows and loop jumps for the LAFSC holiday show. “I blame this all on my daughter,” the retired AT&T project manager says with a smile. 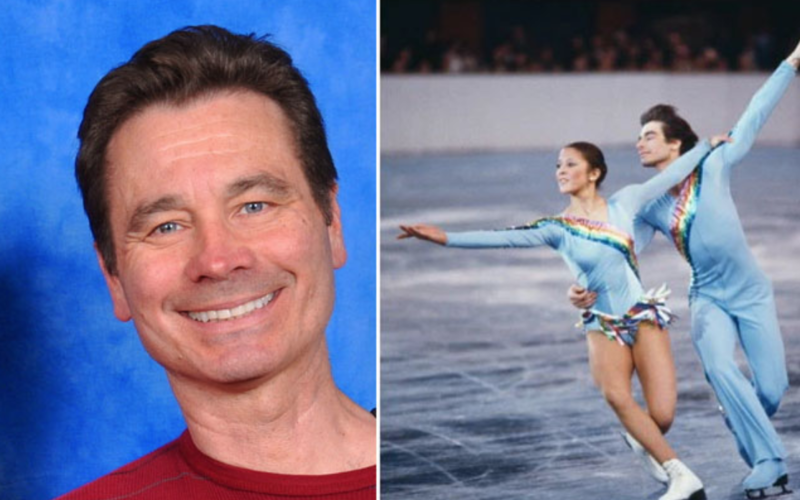 After watching the Olympics as an 11-year-old, she pestered her dad for figure-skating lessons, so he enrolled her in the kids program at Pickwick, the sessions of which he’d watch from the hockey box. As he aged, so too did his title. 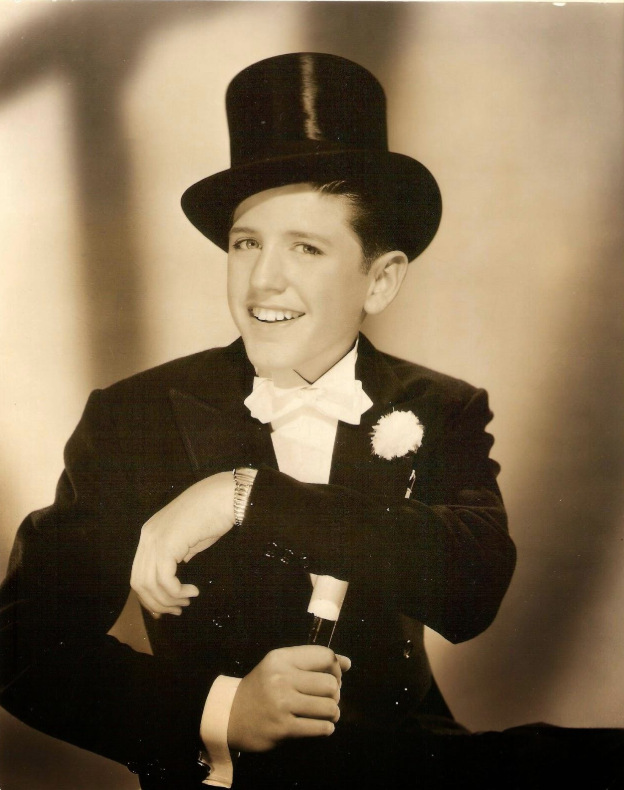 When Dwyer turned thirty, he changed his performing name from “Young Debonaire” to “The Debonair,” and later, “Mr. Debonair.” He left the Ice Follies in 1978 at age 43 — still capable of landing axels, the jump that gave Shawn Gutierrez so much trepidation at age 32 — and skated with the Ice Capades until 1993.